Technomad brings the world’s first completely weatherproof, all-in-one, self-casing portable PA system for the commercial pro audio market to ISE2012 (January 31-February 2, RAI Exhibition Center, Hall 3, Booth #3D144), marking its international debut. 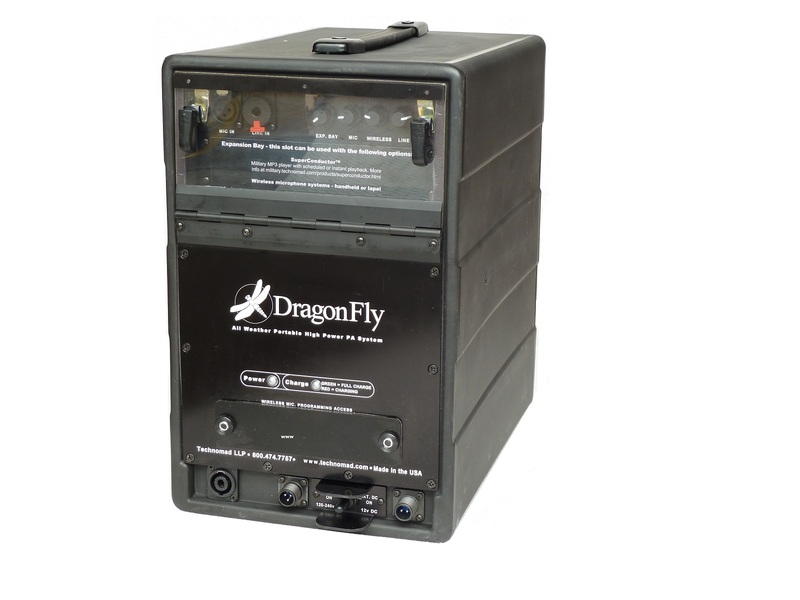 The DragonFly, adapted from Technomad’s rugged military technology, is ideal for mobile pro audio and staging events that require outstanding audio quality, lightweight portability, quick setup, ease of operation and durable construction for outdoor events. The weatherproof design fully protects system components from moisture, dirt, shock and other elements in outdoor environments, supporting everything from ceremonies and parades to sporting events and concerts. The inclusion of green, rechargeable and long-lasting NiHM battery power, along with a potent audio output, supports mobile audio free of extension cords for crowds of approximately 2,150 in size. NiMH battery technology, which uses nickel-metal hydride materials, is far more energy-efficient than lead-based batteries used in many portable audio systems today. This entry was posted in Articles and tagged Audio, ISE, outdoor audio, ProAV, Technomad. Bookmark the permalink.